"Zines and underground culture offer up an alternative, a way of understanding and acting in the world that operates with different rules and upon different values than those of consumer capitalism. It is an alternative fraught with contradictions and limitations...but also possibilities." It's a book that will end up with post-it notes sticking out of every edge, dog ears, and underlining. It's just so eminently quotable. The chapters are broken down into themes such as Identity, Community, and Consumption, but as zines are unboxable those themes are used more as lenses to view through. "A comprehensive look at the history of zines, self-publishing and DIY communication, and why the zine culture is still alive and just as relevant today." "Author Stephen Duncombe relates this history with quick wit, and his admiration for the world of zines and their makers (he was a self-publisher in the scene, as was I) doesn’t soften his critique." "Author Stephen Duncombe relates this history with quick wit, and his admiration for the world of zines and their makers (he was a self-publisher in the scene, as was I) doesn’t soften his critique. " One idea of what real democracy might look like. fast moving, eloquent, critical, empathetic, and funny...playful enough to celebrate the humor and cultural sedition of zines...goes deeper than charging 'sell out' or merely charting corporate colonialism in the land of the underground...but does that mean anything politically?...Duncombe holds the underground to a higher standard. An indepth and thought-provoking study of the phenomenon of zines...particularly good at placing zines in the historical context of self-publishing in this country, situating them as well within the context of the American bohemian tradition. It was punk rock that gave us the current zine explosion, with its emphasis on authenticity, sneering disdain for slickness and consumerism, and determination to forge a community based on these principles...clever and funny...we'll always need the malcontents to show us creative ways to flip the bird to Massa. 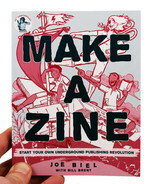 Readers are introduced to a remarkably diverse world of zines and their publishers, whose interests run the gamut: crusading for anarchy in our time, or for the revival of the eight-track tape...but for all of these subjects, silly or serious, Dr. Duncombe argues that zines represent a model of participatory cultural production. 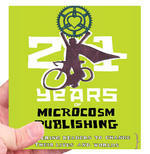 "A timely new critical study...throws some light on the current state of zines and what's at stake. Duncombe, a professor of American Studies and a zine-maker himself, locates zines within a wider bohemian tradition, and maps out both the potential and the limits of their cultural radicalism." "Duncombe retains his respect and even admiration for the utopian sentiments that animate the 'zine world, even as he unblinkingly diagnoses the contradictions and limitations of the political vision these publications offer." "Here is an extensive analysis and critique of the zine as a whole by a professor, activist, and zine maker himself. 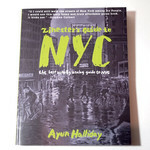 Originally published in 1997, it gives many references to the broad world of zines at the time and even dating back to the 1930s. All subject remains timeless in effect and Duncombe espouses on each careful selection as it relates to the subject he is tackling. 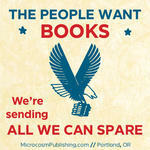 As a former self-publisher and now contributor, I never gave much thought to the history. For example, originating in the sci-fi world, the zine was birthed as a means to connect with like minded people to share ideas about stories read in glossier magazines, and even to self publish their own. The anti-consumerist nature of DIY publishing is a rebellion in itself and yet has a major craving for connection at the same time. Duncombe delves into this oxymoron and raises the questions: do zines make the difference it set out to do? Can they actually effect social change or rather implode in it’s underground world? He sites arguments for both, afterall he IS part of it himself. These are all important queries that raised my eyebrows and had me pondering the broader effect of zines on our culture and society as large. Recommended." "This book took me a little by surprise with its in depth and analytical look at zine culture and it's place in alternative culture. This zine starts with a great overview of what exactly zines are and then moves into discussing the community around zines and other aspects of their place in culture." Duncombe professes American Studies at SUNY Old Westbury and Notes From Underground is a work of very impressive scholarship: there are 32 pages of notes, many of them gathered during ``weeks on end'' when he studied at the NY State Library among ``hundreds of cubic feet of zines housed in their Factsheet Five Collection''. 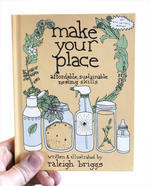 He's also a longtime zinester and has created a labor of love here, meant to be read. Don't be intimidated by the scholarly apparatus or the occasionally highfalutin language (zines are ``repositories of nonalienated creation and media for nonalienating communication'') -- there's a lot here to interest the general reader. There's dozens of well-chosen illustrations. Almost all from zines published in the early 1990s. A pretty good index despite the omission of Tussin Up and MSRRT's Chris Dodge. I recommend Notes From Underground very highly. im surprised this is still availble. I got this awhile back when it first came out. What i remember is the author was recently turned onto zines in the mid 90's and became very enthustiastic. I remember he covers alot of ground and feels passionate about politics. 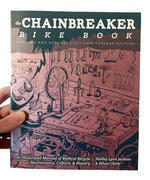 Like most books on zines he has them all lumped in seperate sections; music zines,comics,riot girl zines etc. I think there was a good write up with fact sheet five founder mike gunderloy and a phone interview with one of maximum rock n' roll's founder tim yohannon. I find it essential to access documents such as this book that we get word of motivation; otherwise its too easy to pass the time making money, partying, and playing with computers. This book is a must-read for all art students and should also prove helpful to students of journalism and other fields. 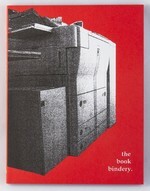 It offers an excellent insight into the whys and hows of zines while also maintaining a critical perspective. If you don't know what a zine is, you will find out. If you do know, you will get a deeper understanding of the history of zines and what they have morphed into since their heyday. What is most successful about this book is he didn't just write about the world of fanzines but explored through the social/economic/political structure of the USA. As a political science student and a fanzine writer I share his views concerning the new world order as an everchanging,imposing and even assimilating fact. This is a sobering, inspiring book. Duncombe shows us the boundless potential of zines and zine culture. At the same time he diagnoses the failure of zines to reach out and become relevant to people outside our little "underground." 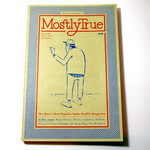 This certainly is one of the best works about Zines. Steve laid out a bunch of topics which are rather unknown into zine's scene. The big amount of quotes reflects his commitment and background to perform this book. I still amazed of the number of quotes and interviews, which provides a wide vision of zine culture spreaded in USA. Having no idea what a "zine" was - in itself either tells you that I am completely removed from Bohemia and/or have been completely swallowed up by the mass of Big Business everything. But I clutched for that lifeline and reveled in the premise of freedom of speech as I read about the DIY zine creators/communicators. Most academic interest in zines has been from a sociological, cultural and youth studies perspective. These studies have focussed on exploring zine culture as a subcultural movement, encompassing particular styles of media consumption, relationships with mainstream culture and so on. 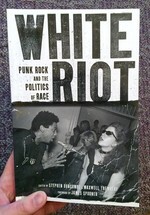 Stephen Duncombe's book Notes from Underground: Zines and the Politics of Alternative Culture, is an example of this type of work from America. There has been very little scholarly work that has focussed on the cultural phenomenon of zines. Stephen Duncombe has produced the most comprehensive scholarly look at zines in his book, Notes From Underground. Zines and the Politics of Alternative Culture. 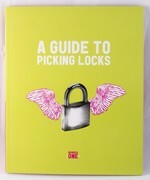 He covers various issues related to the production of zines, its history, and the culture that has grown up around it. And while he briefly touches on women as zine producers, he offers a very limited analysis, focussing solely on zines coming out of the Riot Grrrl movement. In his documentation of zine culture in Notes from Underground Zines and The Politics of Alternative Culture, Steve Duncombe claims: "They [zine writers] celebrate the everyperson in a world of celebrity, losers in a society that rewards the best and brightest." It is this definition that best describes the position of the zine writers. The slippery politics and insoluble contradictions of underground, culture are examined through the lens of 'zines in the relatively highbrow Notes from Underground: Zines and the Politics of Alternative Culture. A "radical scholar" and former punk musician and 'zine editor who claims to be "of the world [he] writes," Stephen Duncombe brings neo-Marxism to bear on the thorny issues of purity versus sellout, withdrawal versus action, and accessibility versus insularity. Highly sensitive to all sides of the various debates, Duncombe tangles with the tar baby of bohemian politics, and emerges with some useful observations on the intolerant, elitist myopia of ostensibly egalitarian subcultures, the enforced banality of originality for its own sake, and the "We're all individuals!" paradox of iconoclastic communities, exemplified by the tail-chasing arguments over self-definition in the punk and riot-grrrl "scenes." A timely new critical study, Stephen Duncombe's Notes from Underground: Zines and the Politics of Alternative Culture (1997), throws some light on the current state of zines and what's at stake. Duncombe, a professor of American Studies and a zine-maker himself, locates zines within a wider bohemian tradition, and maps out both the potential and the limits of their cultural radicalism. Thoroughly researched analysis of zine history, with a focus on their political contractions. Includes extensive notes and index. ... [E]nlightening and strongly recommended. Duncombe retains his respect and even admiration for the utopian sentiments that animate the 'zine world, even as he unblinkingly diagnoses the contradictions and limitations of the political vision these publications offer. The result is a moving yet frustrating work, haunted throughout by the unresolvable tension between Duncombe's sympathy with the "zinesters" quest for authenticity and his recognition that that quest is doomed to both marginality and failure. Stephen Duncombe fills such a void with his examination of zines that, in his words, "privileges the material interpretation, not academic translations." As a zine editor himself, Duncombe is all too familiar with the academic treatment of cultural artifacts that tend to obscure the realities in which many of these creations become manifest. Underground works better as an extended essay on the meaning of zines than as an introductory survey. Stephen Duncombe wants to present the zine form as a potentially subversive medium, and does a good job doing so. 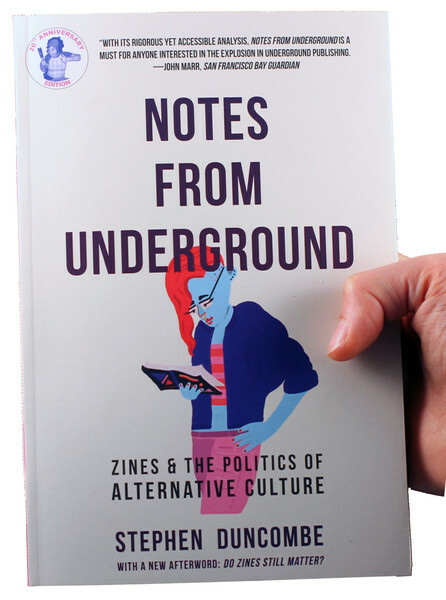 If you want to do some reading about zines & zine culture, I cannot recommend Notes from Underground: Zines and the Politics of Alternative Culture, by Stephen Duncombe, enough. Duncombe is a former zinester himself and writes from a privileged insider's position within the zine world. He's also a first-rate sociologist, with a clear-eyed vision of what's good and bad and in-between about zines. His book is a fantastic biography of a genre, and is an excellent resource, to boot. In this impressive and illuminating book, that is a both a superb cultural analysis and a labor of love, Stephen Duncombe provides a comprehensive look at zines and their creators. Log in to get emails when Stephen Duncombe has something new.